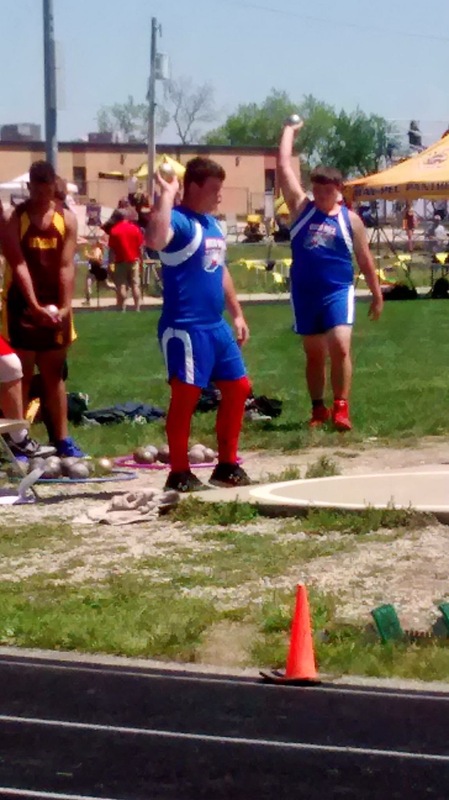 Adam Bridgewater just threw the shot put 38 feet 5 and 3/4 inches which put him in 2nd place at the district track meet. Way to go, Adam!! !